First time driving test pass for Oli! Hello! I am a fully qualified DSA approved Driving Instructor (ADI). I provide driving lessons in Widnes, Warrington, Congleton and Holmes Chapel. 🚘 If your aim is to become a safe, independent driver that passes first time and learns driving skills for life, B7 is the driving school for you! Why learn to drive with B7? My reputation as a skilled, patient, professional driving instructor is the reason that B7 stands out from other driving schools and is so successful. It is why learners come to me,to rebuild, retrain and restore their understanding and confidence. I have a background in education (B.ed) and elite coaching (Uefa B) ;added to 20+ years driving experience. Driving lessons are tailored to your learning style and pace, focusing on training you to be a safe, proactive and independent driver. Lessons have a purpose, your progress is monitored, tracked and shared with you. Like so many of Bens learners, I came to him from another instructor that wasnt tailoring lessons to me. I was making no progress. As soon as I started with B7 the difference was clear and it was massive. Ben set me goals, planned for me as an individual and trained me to be independent. Ben is the go to in Widnes esp where the other instructors are not in his league, changing was the best decision i made. I passed in August with 2DF thanks to Ben. Thank you, Ben is simply a brilliant trainer! Calm and supportive. After being disappointed by quite a few instructors who made me lose confidence, finally finding Ben was the best thing I did. Ben does not just prepare you for the test (like SO many instructors) his approach is to give you depth and tailor the lessons to you. The difference was massive from my previous experiences. Ben clearly is a step up from the instructors I have had, professional, knowledgeable and not obsessed with rushing you through. Passed first time, with only two driver faults! Having taught both myself and my brother it was evident lessons were adapted to how individuals learnt and it wasn’t the same for everybody. 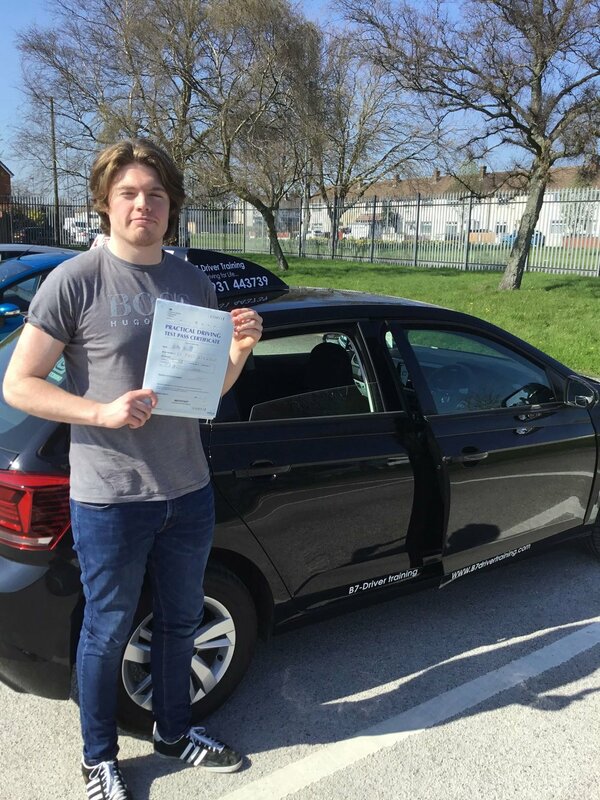 During my lessons Ben emphasised the importance of learning to drive beyond the test so we practiced things not necessarily needed for the test but for driving in general, which has made me more confident to drive by myself. I found that Ben is really approachable, which is a must for learning to drive as it means you feel comfortable with him during your lessons. This is due to his technique of coaching rather than dictating but also his sense of humour.